Great for fundraising projects and gifts. 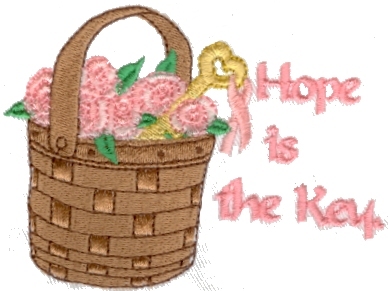 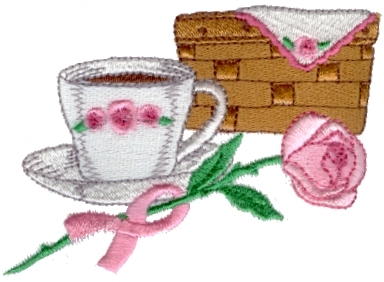 These designs, images, and all derivative works are Copyright 2006 Nippert & Co. Artworks, digitized under License to Sew Teri-fic Designs. 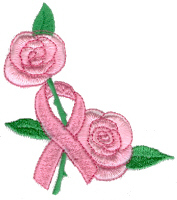 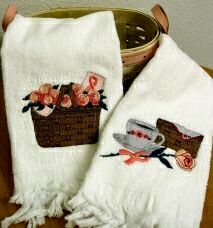 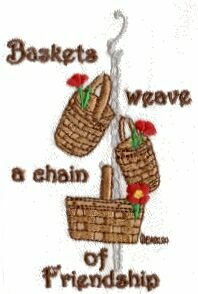 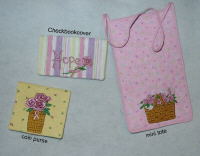 They can be stitched on anything you can imagine for personal use, gifts, and even items for resale. 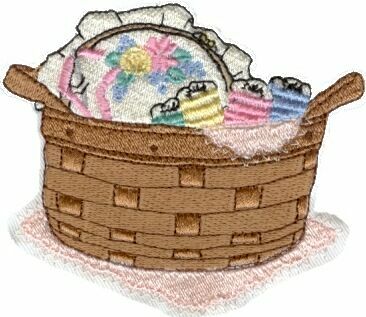 You may not transfer, sell, share, or post these design files, images, or derivative works anywhere without written permission. 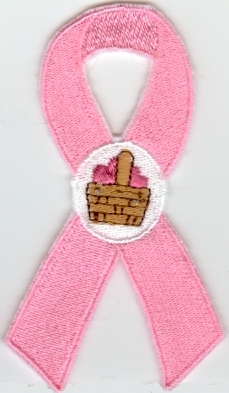 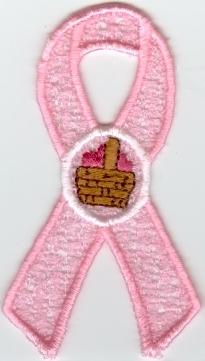 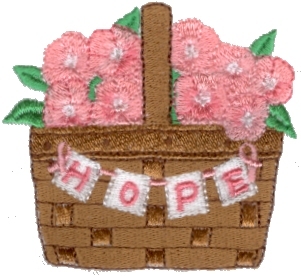 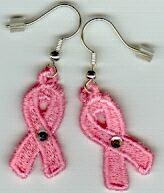 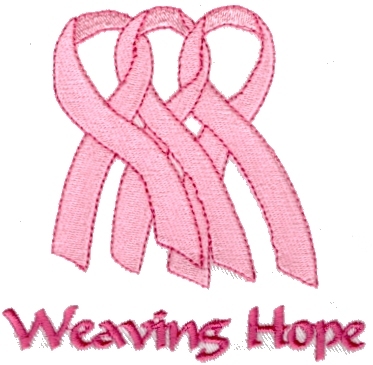 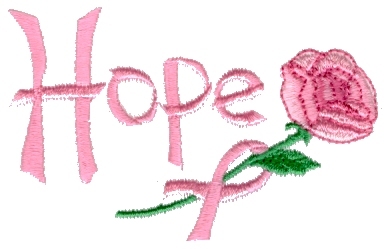 Stitched with variegated pink thread. 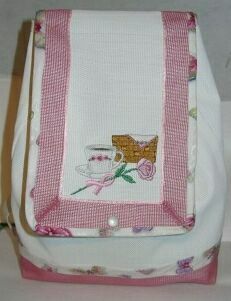 Stitched on felt and trimmed for free standing ribbon. Just glue a pin back to the underside to wear! 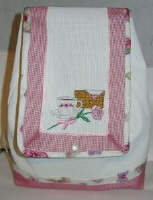 Stitched on one layer Aqua Magic. 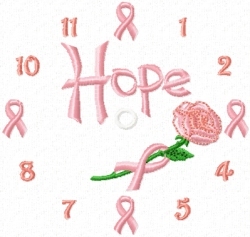 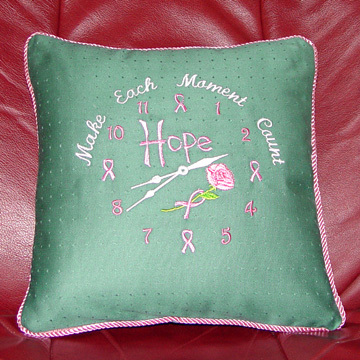 Add this coordinating Hopeful Clock design for only $5 more! Betty made this lovely pillow with the coordinating Hopeful Clock design, adding extra wording and clock hands. 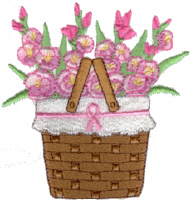 Karla H. is a B.C. 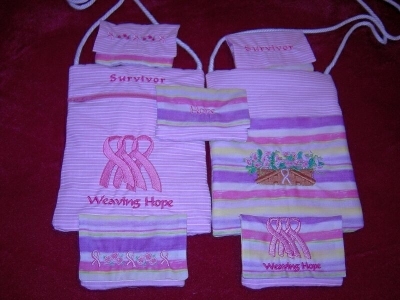 Survivor and has been making these Lazy Girl purses and wallets as gifts to encourage fellow patients. 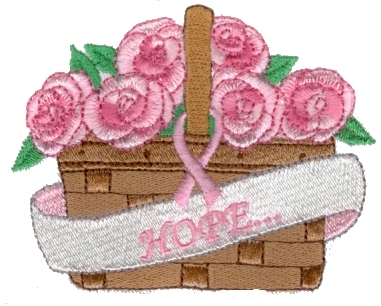 The "Survivor" lettering coordinates with the lettering in the collection and is offered as a free download at the bottom of this page. 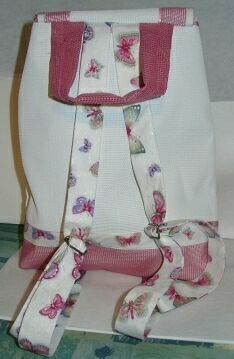 This adorable backpack is Dee's creation and incorporates pet screening of all things!. 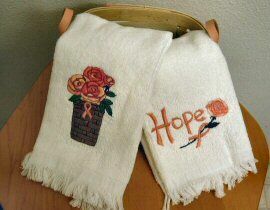 These are Dee's projects as well - would be great fundraisers. 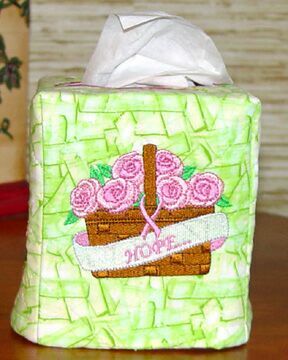 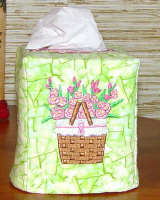 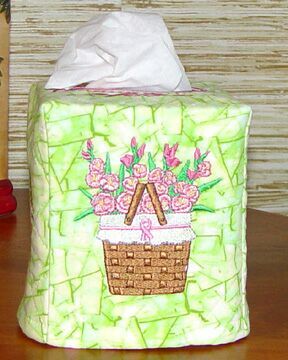 This is Betty's tissue box cover with a different design on each side. 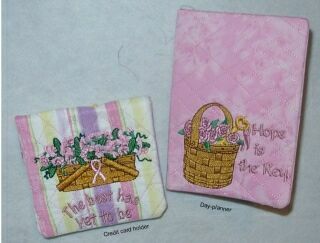 These designs look great on Nancy's towels. 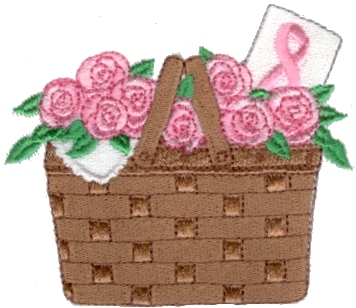 A big THANK YOU goes to Joan O. for the idea and testing!